Tonkotsu, one of London’s best-loved ramen bars, will open a restaurant in Selfridges in Birmingham’s Bullring on September 5th. Named after the pork bone commonly used as the base ingredient of broth for Hakata ramen, after the success of six locations (including Selfridges) in London, they’re moving north to bring their in-house made noodles to the people of the Midlands. Ramen is a Japanese noodle dish containing stock – usually pork and chicken – with a special wheat noodle and toppings including marinated egg, slices of pork, wakame seaweed and bean shoots. Tonkotsu is proud to make all its noodles in-house thanks to their bespoke Japanese noodle machine, giving a fresh springy noodle. Tonkotsu serves a variety of completely authentic, delicious ramen with starters, sides, Japanese craft beers and whiskies to complete the menu. 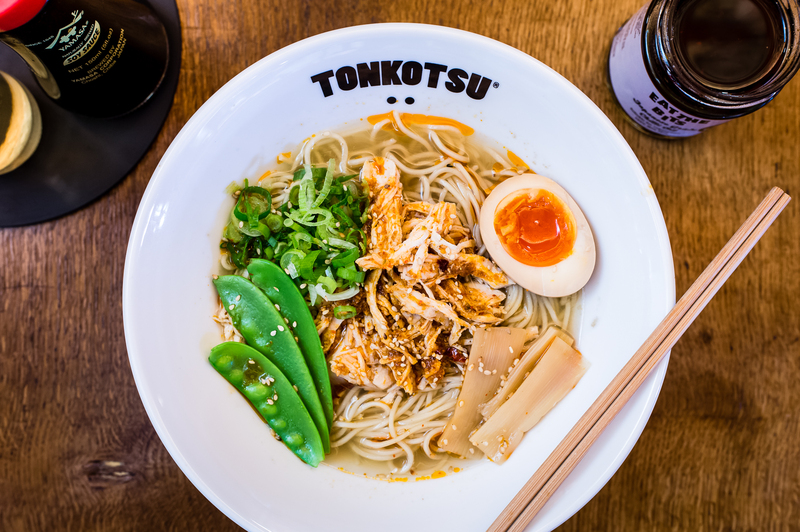 In addition to the authentic ramen, chicken karaage – delicious Japanese fried chicken – and gyoza dumplings, Tonkotsu Birmingham will also serve katsu curry, perfect for a mid-shop pit stop. Japanese and British lagers and ales will be on offer along with house cocktails and wines. All dishes will be available to take away. Tonkotsu is a group of six London restaurants, including Selfridges Oxford Street Foodhall, serving ramen with homemade noodles in slow-cooked broths, along with craft beers and cocktails. Tonkotsu Birmingham Selfridges will be the first location outside the capital and the team is very happy to be partnering again with Selfridges, after becoming a popular choice for shoppers in the Oxford Street store. For locations, check out www.tonkotsu.co.uk.